Data is not cheap. Especially in the US, paying for 10GB per month instead of 2GB per month could increase your monthly phone bill drastically. If you want to cut down on that recurring cost, the easiest way is to simply use less data. We’ve covered everything you can do to reduce data usage on iOS already, so this article is entirely about Android. If you drop down to a lower data plan to save money, that won’t do you much good if you end up going over every month. To prevent that, head into Settings > Data usage. 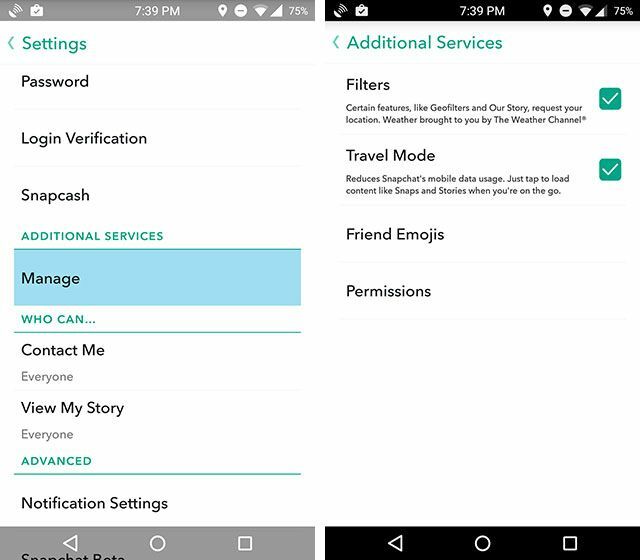 Settings can be accessed either via the Settings app, or by pulling down the notification shade from the top of the screen and pressing the cog icon. Here, you’ll be able to see exactly how much data you’ve used during your billing cycle. You can drag the lower limit line to set a “warning” when you reach a certain amount. Turning on the “Set cellular data limit” option will cause a second movable limit line to appear, and if you use that much data, your phone will automatically turn off all data access to prevent you from going over. Because your carrier and your phone might measure data slightly differently, we’d recommend setting your limit slightly below your real limit. For instance, if you only get 3GB a month, you might want to set your warning at 2GB and set it to turn off at 2.8GB. 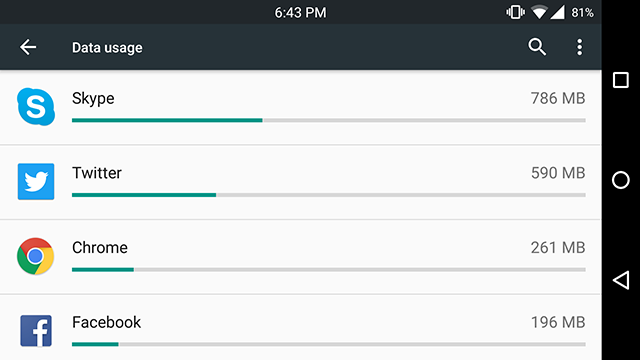 If you want to see your Wi-Fi usage (though, keep in mind that data consumed over Wi-Fi does not take away from your carrier’s data allotment), tap the three-dot icon in the upper right and select Show Wi-Fi. Scrolling down through this page, you’ll be able to see the exact amount of data being consumed by each app. This can help you identify which apps are using the most data, allowing you to cut down on using them or at least waiting until you’re connected to Wi-Fi. It can also tell you which apps you can feel free to use more. For instance, if you hold off on checking your emails because you worry that you might be using too much data, check how much data your email app is consuming. I email pretty regularly, and my Gmail app has only consumed 16MB this month, which is a nearly negligible amount. Use these measurements to see which apps you can use without worrying as much about their data consumption. This is probably a last-resort move, or at least an end-of-the-month one, because a lot of apps aren’t going to function well without background data. Gmail needs it to load your emails, Facebook needs it to load your messages and notifications, and so on. But, if you find that a lot of your data consumption is happening when you’re not even using your phone, this might be your best bet of preventing that. With background data restricted, you know that only the apps you’re actively using are consuming data — nothing is going on when your screen is off. To activate this, head back into Settings > Data usage, tap the three-dot icon in the upper right, and select Restrict background data. If turning off background data for all your apps isn’t an option (maybe you’re waiting for an important email), then you can turn things off on a per-app basis. 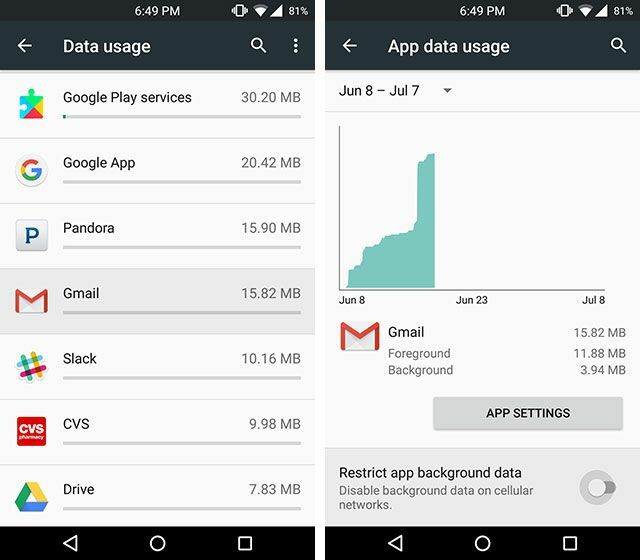 If you know that a couple apps in particular are chowing down on your data plan, you can find them in the Data usage list, tap on them, and choose Restrict app background data. There are several apps that will compress your data for you so that you can load all the same things you normally would while consuming less data. We’ve covered data compression apps before, but things have changed a bit since then. Onavo Extend: Back in the day, this app was the go-to for data compression and management, but its developers seem to have given up on it — it hasn’t seen an update since August 2015. It’s still functional and can save you a few megabytes, but its interface is now dated. Opera Max: This app is now the leader of the category. Opera Max can compress all your data, including for popular apps like YouTube, Netflix, Spotify, and more. 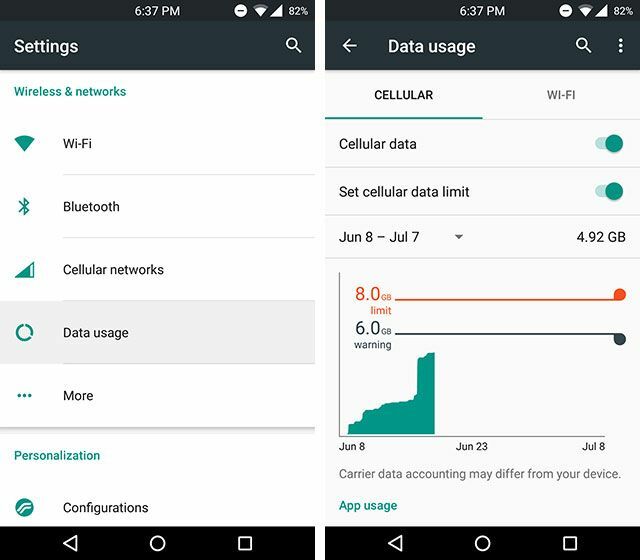 It has a clean, modern interface, and you can manage your data usage through it instead of within Android’s settings. DataEye: If Opera Max doesn’t tickle your fancy, give DataEye a shot. It’s updated more regularly and has some slightly different features, like the ability to grant an app access to data for a limited period. 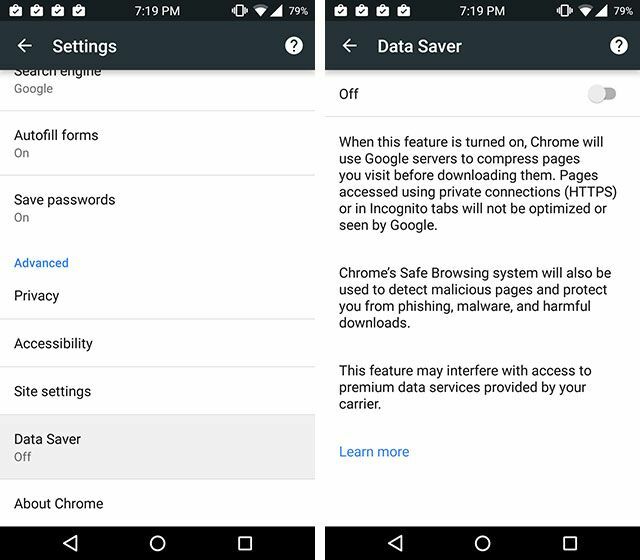 Google Chrome: Hidden with the settings menu of this app is a feature called Data Saver. Toggle this on, and Chrome will work to compress all the websites you visit, saving you some data. This won’t work across all your apps (only within Chrome) but it’s a nice, simple option. With auto-playing videos becoming more and more popular, your favorite apps — the social ones, in particular — are consuming more and more data. To fix that, we only need to tweak a few settings in these apps. Facebook: There are a lot of reasons to not use this app, but many people (myself included) still do. If you’re in that boat with me, you should probably go ahead and turn off auto-playing videos by heading into App settings. 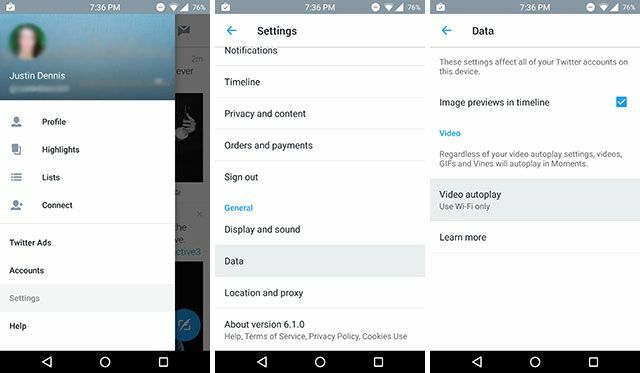 Twitter: Head into the settings of Twitter, tap Data, and set Video autoplay to Use Wi-Fi only. This will save you a ton of data as you scroll through your feed, I’m betting you don’t watch every single video that goes by. 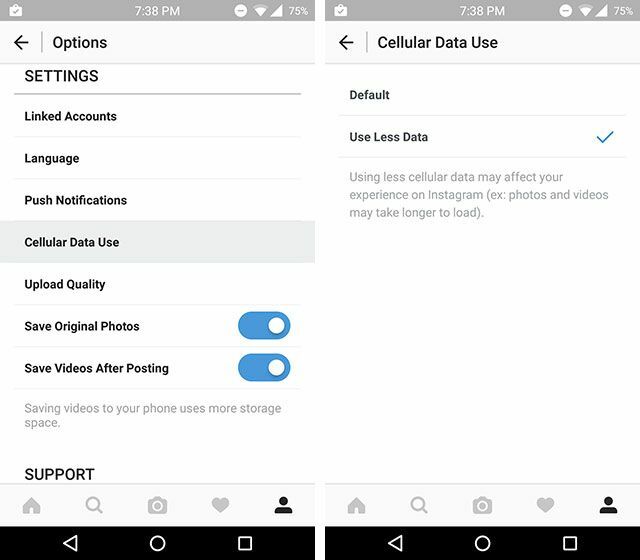 Instagram: Instagram’s setting can be found by tapping the three-dot icon in the upper right, selecting Cellular Data Use, and choosing Use Less Data. It’s unclear exactly what this does other than preventing videos from autoplaying, but I didn’t notice much of a difference with it toggled on or off. Still, it couldn’t hurt to scrape a few more megabytes out of this. Snapchat: From the main camera screen, swipe down and then select the cog icon in the upper right. Under Additional Services, choose Manage, and make sure that Travel Mode is selected. 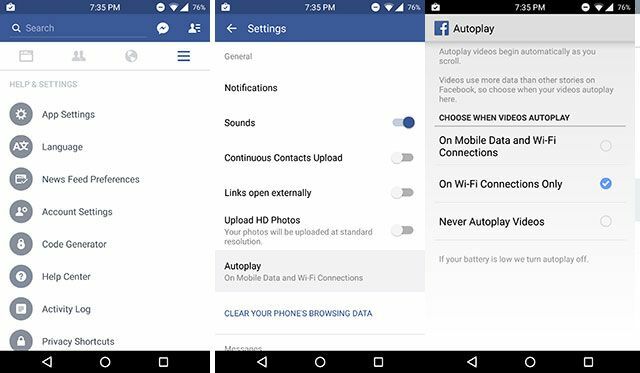 All this means is that you’ll need to tap to load your snaps or stories before watching them, but it can save you a ton of data. App updates can really take up a lot of data, but thankfully, there’s usually no issue with waiting until you’re around Wi-Fi to do them. 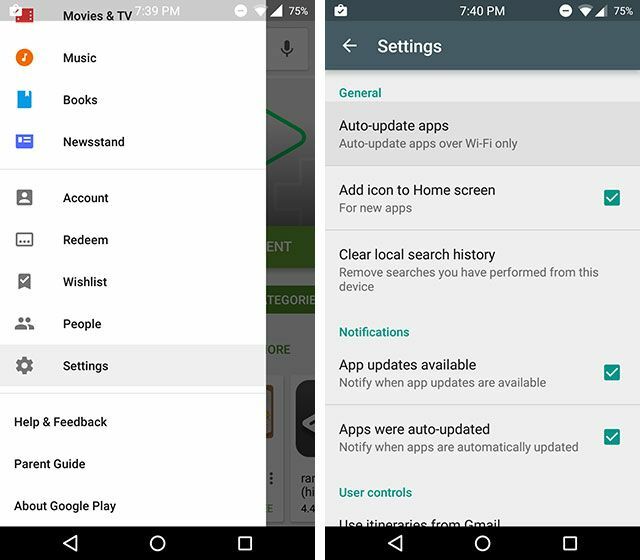 Open up the Play Store app, swipe in from the left side, select Settings and ensure that Auto-update apps is set to over Wi-Fi only. If you ever need to update an app away from Wi-Fi, it’s simple to override. And while we recommend you keep your apps up-to-date, as long as you’re connecting to Wi-Fi at least once every few days, you should be fine. If you use Google Maps to help get you around town a lot, then you’re using data every time to look up that Starbucks or find the nearest McDonald’s. It can do you a lot of good to just save those maps offline. 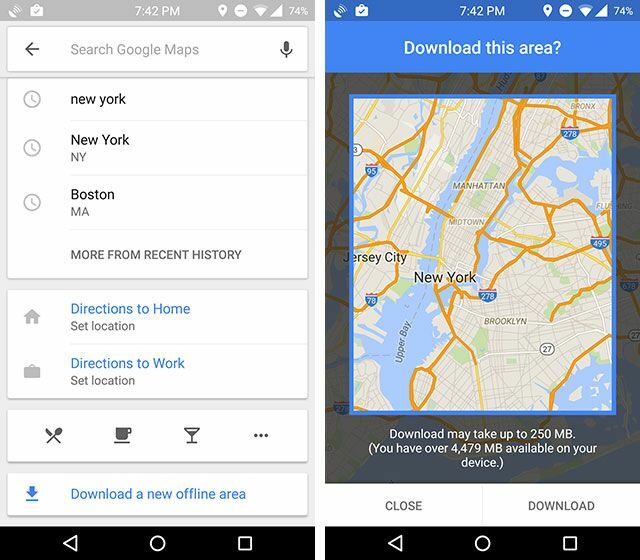 While connected to Wi-Fi, head into the Maps app, tap the search bar at the top, scroll to the bottom, and select Download offline area to download the city that you live in. Now, when you need to search for nearby locations and navigate around town, Maps won’t have to use nearly as much data. The usual advice rings true here: avoid streaming videos, music, or podcasts. Those are likely your largest data suckers. Try storing some music offline on your device and only watching Netflix over Wi-Fi, but you probably knew to do that already. Do you have any others tips for saving data on Android? What to you do to keep your mobile data bill low? Let us know down in the comments!